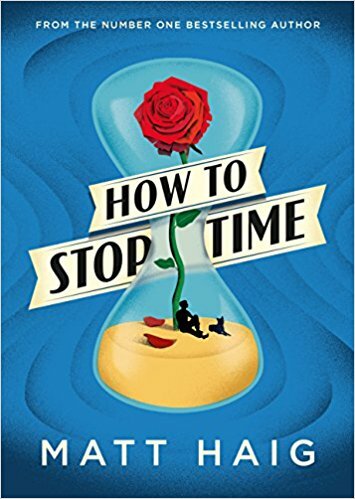 I found the book How to Stop Time by Matt Haig when I went in search of a new time travel book. Time travel may be my favorite genre, but also one that I've had a hard time in the last few years finding a new book to sink into. How to Stop Time isn't actually a time travel book but its close. The story revolves around the central character of Tom Hazard. Tom is 41 years old and lives in London. His body looks like a normal 41-year-old but actually, he just ages incredibly slowly (it takes 15 years for him to age 1 human year) so is instead actually over 400 years old. In How to Stop Time you learn that Tom has a rare condition that has him age slowly. How to Stop Time is about his roughly first 400 years of life. From childhood to adolescence growing up through different centuries having to keep his condition a secret. It's a novel that jumps around the timeline quite a bit. From the 1600's to modern London, from talking with Fitzgerald to talking about Donald Trump. The core story though is his quest to find his daughter who too has this slow aging condition. By far my favorite part of How to Stop Time is the thought experiments of what it'd be like to live for hundreds of years. On one hand, you'd be able to actually witness the major transformations of culture and technology. On the other, you'd see history repeating itself over and over again. The other problem Tom has to contend with is that he chooses not to get close to anyone. Because although he doesn't age like a normal person most everyone else does making it hard for him to want to connect. The only real problem I had with How to Stop Time was this overarching "group" that is formed of people who also age slowly. The group is written as a cross between the mafia and a cult. The conflict that they pose to Tom and his way of life is the only odd science fiction plot point in what is otherwise an incredibly enjoyable read. How to Stop Time isn't the next 11-22-63 or Time Travelers Wife but its a really interesting story about time and one that I enjoyed from start to finish.